Some of my kitchen utensils were not brought over when we moved back to Singapore so lacking claypot (actually I found my claypot but the lid is missing), the only way I can cook this dish is by using the electric rice cooker. I have provided 3 ways to cook this recipe and am very excited to present the easy-peasy version which is great for students studying overseas (they will probably lack claypot too!) and working adults who lack time but still want a delicious hot meal. Primary Mise en place for Claypot Chicken Rice. Mise en place literally means “set in place” and it refers to having all your ingredients prepped and ready to go before you start cooking. 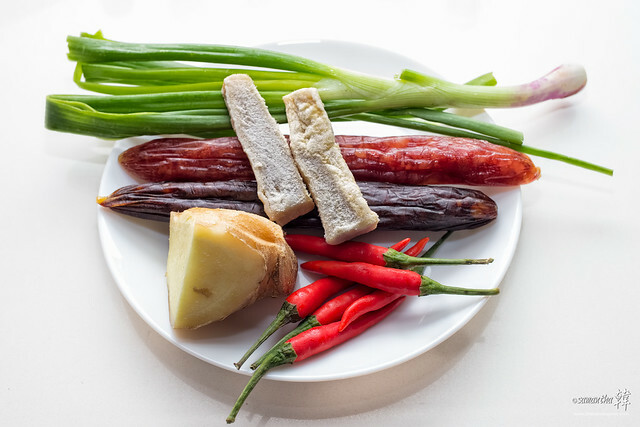 Spring onions, lup cheong (Chinese waxed sausage), yuen cheong (Chinese liver sausage), chilli padi, old ginger and salted fish atop the sausages. Mustard greens and reconstituted dried shiitake mushrooms. I marinated the chicken overnight (in the fridge). 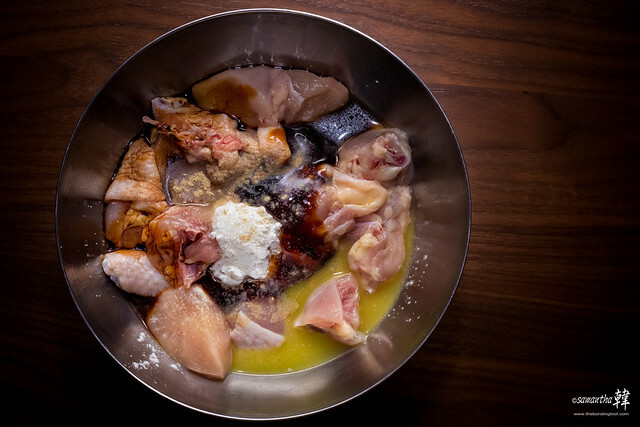 ½ Chicken (bone in and chopped into bite-size pieces). 1 tablespoon Old Ginger Juice. 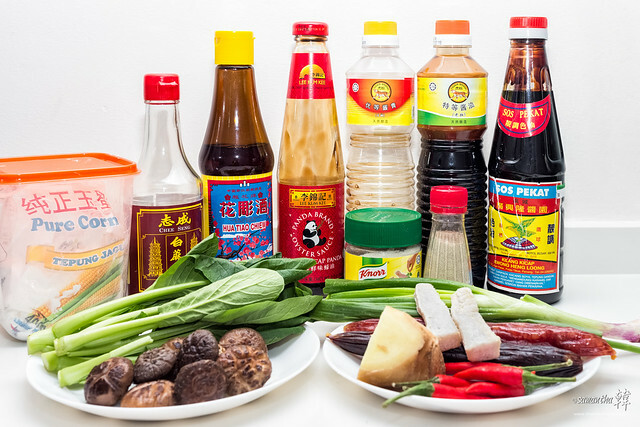 ½ tablespoon Light Soy Sauce. 2 teaspoon Dark Soy Sauce (Sos Pekat, the brand I used is from Kilang Malaysia). 1 tablespoon Chinese Hua Tiao Wine. 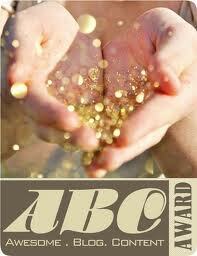 1 tablespoon Garlic Oil or Sesame Oil. If you are cooking for a new mom during her confinement period, it is best to use sesame oil instead of garlic oil but I have used sesame oil anyway since I liked its nutty taste. The next morning, I reconstituted the dried shiitake mushrooms and put the prepared mushrooms into the chicken. Let them marinate until needed, in the evening if cooking for dinner or at least half an hour. Reserve the mushroom water for use in the rice. Slice the salted fish and fry them in a little oil. Drain on paper kitchen towel and keep aside for garnish. 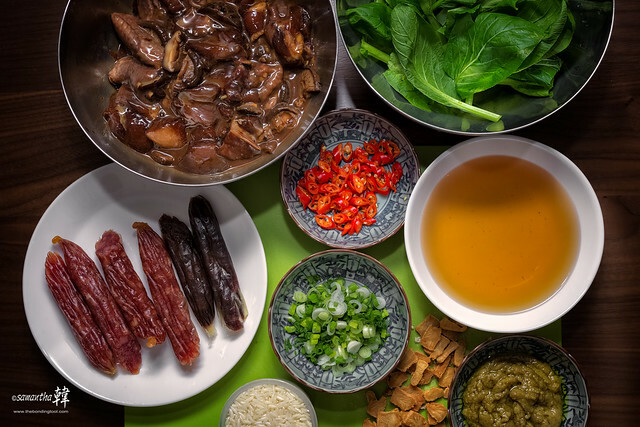 Marinated chicken and mushrooms, mustard greens, reserved mushroom water, Hainanese chicken rice paste, fried salted fish, long-grained rice, Chinese waxed sausage and liver sausage, chilli padi and chopped scallions. 3 cups long-grained or Jasmine Rice (Royal Umbrella brand needs ½ cup more water). Reserved Mushroom Water plus more water to top up to level 3 – 3½ marking in rice cooker (or 3 cups if using claypot). 2 tablespoons *Hainanese Chicken Rice Paste, optional (if using this variation then there is no need to make *Group E sauce). This is for the Rice Cooker Version to compensate taste since we cannot replicate wok hei. I do not use this paste for the Traditional Claypot method. 2 – 3 teaspoons Dark Soy Sauce (Sos Pekat, the brand I used is from Kilang Malaysia). 1 tablespoon Garlic Oil or Sesame Oil (if cooking for new moms during confinement period, it is best to use sesame oil). If you are preparing the chicken for next day’s use, add mushrooms into this marinade on the next day. 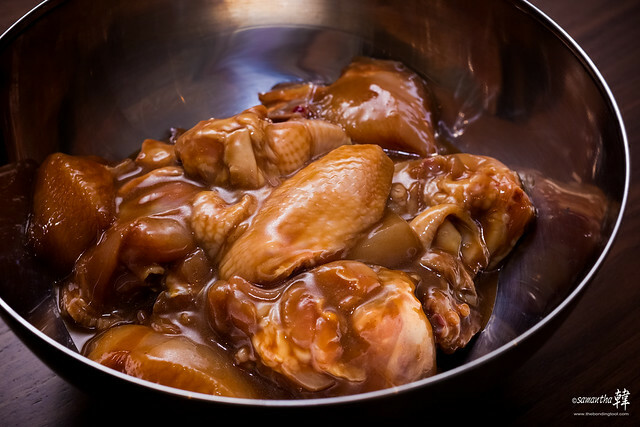 If preparing for same day use, try to marinate for at least half an hour or until needed. 1 Lup Cheong (or 2 if not using Yuen Cheong), rinsed and pat dry. 1 Yuen Cheong (duck liver sausage), rinsed and pat dry. 8 tiny caps Dried Shiitake Mushrooms (washed and soak till soften, squeezed dry and reserve water). 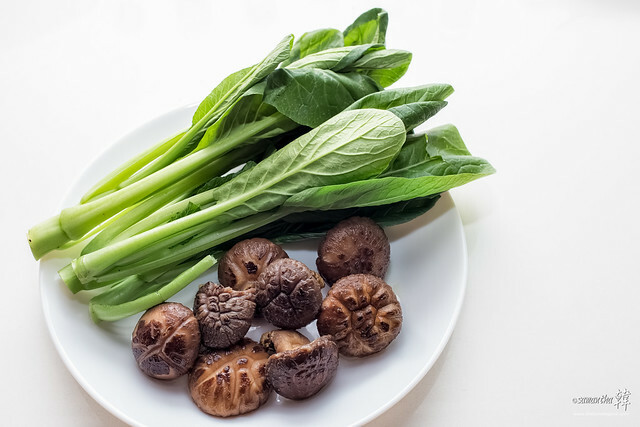 4 stalks Mustard Greens (Chye Sim). 1½ (25g) slices Salted Fish (pan-fried with a little oil till crisp, drain away excess oil on paper kitchen towel). 4 slices Old Ginger, julienne. 6 Red Chillies or Chilli Padi, sliced and deseeded if prefer less heat. 1 tablespoon Dark Soy Sauce. 3 – 4 teaspoons Sugar. Put everything (except sesame oil) in a small pot and simmer in low heat till sugar melts. Add sesame oil and immediately turn off heat. Remove from stove, set aside and let sauce cool. Drizzle a tablespoon or two over cooked chicken rice just before serving. Let diners help themselves to more sauce in their individual bowls if desire when eating. Claypot or Electric Rice Cooker. Marinate the chicken and reconstituted dried shiitake mushrooms with the ingredients in Group B for at least half an hour or overnight. Wash and rinse rice. Drain dry and add to claypot with equal amount of water. 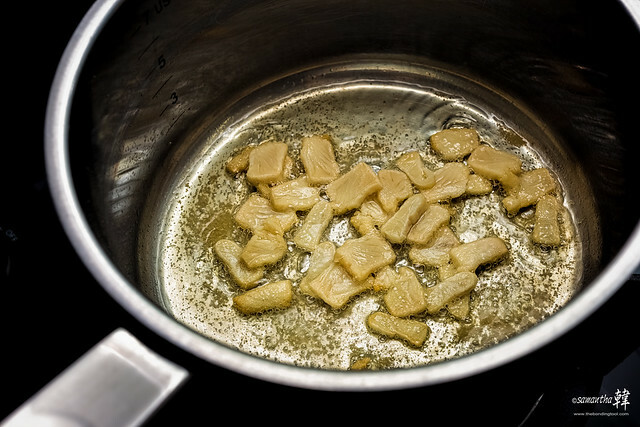 Bring to boil and cover with lid, cook till the water is almost absorbed, about 8 – 10 minutes. 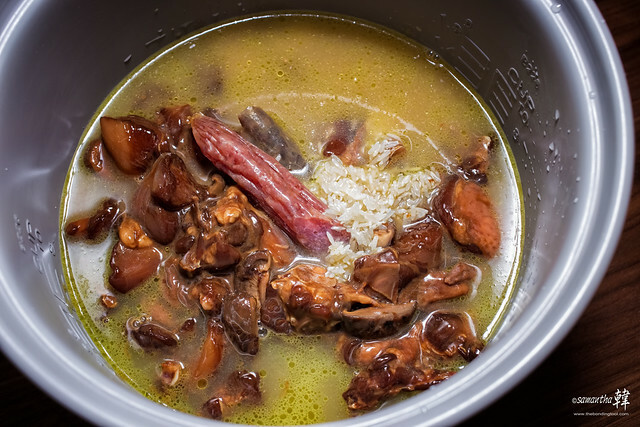 Once all the water is almost absorbed, deftly place chicken and mushrooms, thickly sliced lup cheong and yuen cheong over the rice and replace cover. Lower the flame and tilt the claypot on its side so that the rice on the side of the claypot starts to crisp up. Once you can smell the toasty rice aroma, rotate the claypot. Keep doing this for 15 mins until the rice around the sides of the pot is toasted. Turn off the heat, add the vegetables and replace the lid and rest for 10 mins. Add salted fish and scallions. Drizzle “Group E” sauce, give the rice a good mix and serve! 1. Marinate the chicken and reconstituted dried shiitake mushrooms with the ingredients in Group B for at least half an hour or overnight. 2. Wash and rinse rice. Drain dry and add to electric rice cooker with stipulated amount of water. Add in the lup cheong and yuen cheong and press “cook” button on the rice cooker. 3. Once you see steam coming out of the steam-hole of rice cooker, place chicken, mushrooms and wolfberries over the rice and replace lid. Continue to cook until the rice cooker pops to “keep warm” function. 4. Take out the sausages to slice. Put vegetables and half the salted fish in the rice cooker, give a few quick stirs with a pair of chopsticks to mix and cover lid. Do not open until half an hour later. 5. Add sausages and the rest of the salted fish to the pot. Serve with chopped scallions and ginger julienne. Drizzle “Group E” sauce (if you did not use the Hainanese Chicken Rice Paste), give the rice a good mix and serve hot with the garnish. Easy-peasy Rice Cooker version of Claypot Chicken Rice. Wash and rinse rice. Drain dry and add to electric rice cooker with stipulated amount of water. Add in sliced sausages, marinated chicken and mushrooms, and press “cook” button on the rice cooker. 1. 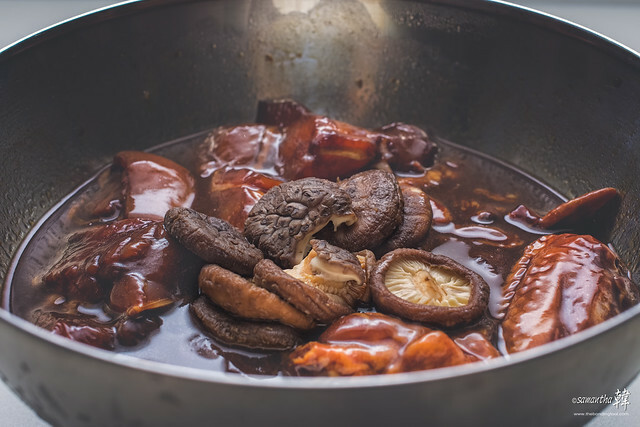 Marinate the chicken and reconstituted dried shiitake mushrooms with the ingredients in Group B for at least half an hour or overnight (up to 2 days). 2. Wash and rinse rice. Drain dry and add to electric rice cooker with stipulated amount of water. Add in sliced sausages, marinated chicken and mushrooms, and press “cook” button on the rice cooker. 3. Continue from step 4 after the rice cooker pops to “keep warm” function. When my daughters were studying in Melbourne, they get to come home for a couple hours in between classes on certain days. If you are a student and have returned home to cook, you can prepare up to the step 2 and go back to school, until you return (from classes or errands) and continue from step 4. This method also works well for people on shift work and want to prepare food for their family members before they go off to work. 4. Take out the sausages to slice. 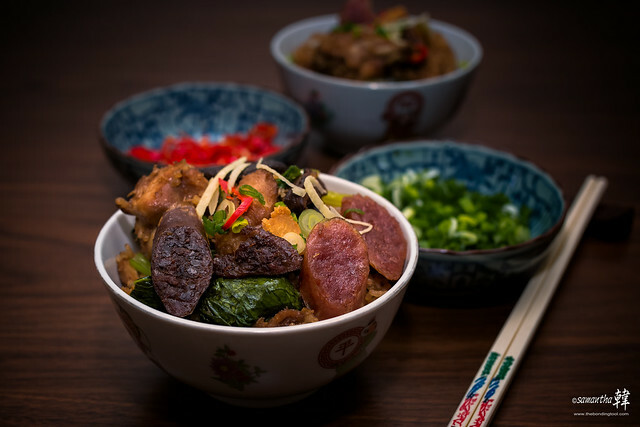 Put vegetables and half the salted fish in the rice cooker, give a few quick stirs with a pair of chopsticks to mix, return sausages and cover lid. Do not open until 10 – 15 minutes later. Meanwhile, prepare garnish if using and set the table. 5. After 10 – 15 minutes, stir rice to mix and serve hot with the rest of the salted fish, chopped scallions, ginger julienne and red cut chillies. You may squirt a few drops of Sos Pekat (premium dark soy that has a hint of sweetness) if desired. As I had a busy day with my grandchildren at the doctor’s, this “claypot’ chicken rice was made using the easy-peasy method. Many thanks for recipe. I have been trying to get the brand of Sos Kepat which you suggested but could not find it. Can you please kindly tell me where I can buy this in Singapore? 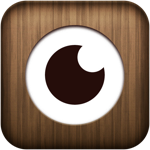 Greatly appreciate your help! I asked my friend and he said the Sos Pekat can only be bought in Penang (I have given you the contact in previous reply).